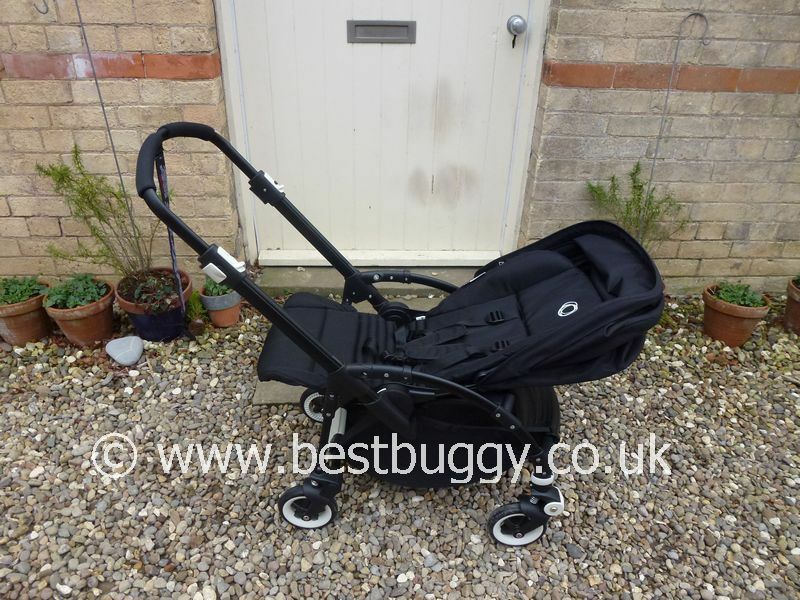 The Bugaboo Bee Plus is a fantastic little pushchair for nipping around town. 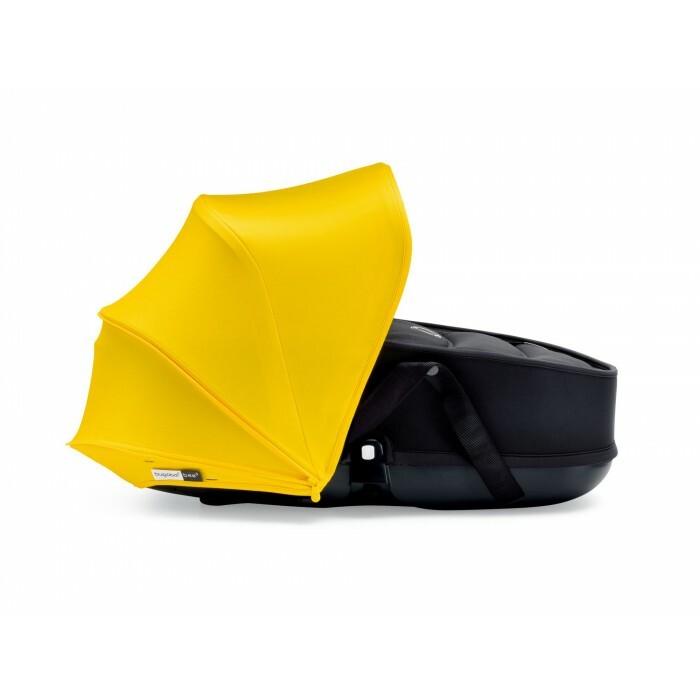 It has a reversible seat so the child can face in either direction. 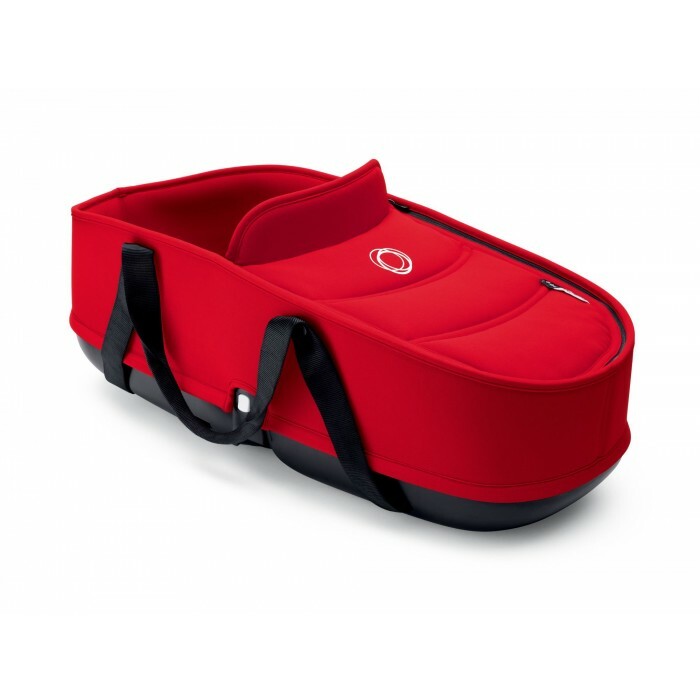 A Maxi-Cosi car seat makes this a good travel system. 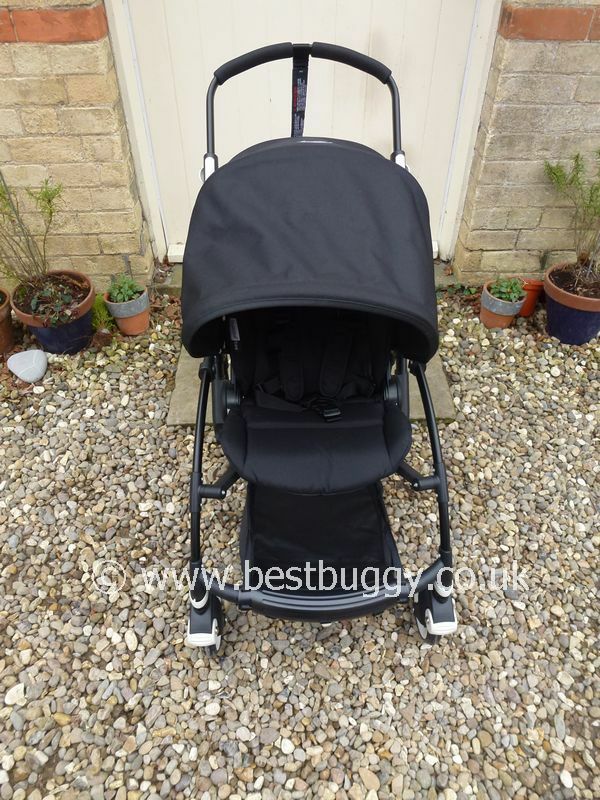 The Bugaboo Bee can be folded with the seat on. 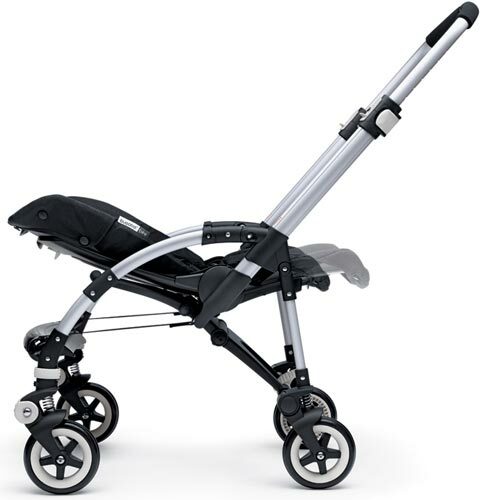 Narrow for even the smallest of spaces and highly manoeuverable. 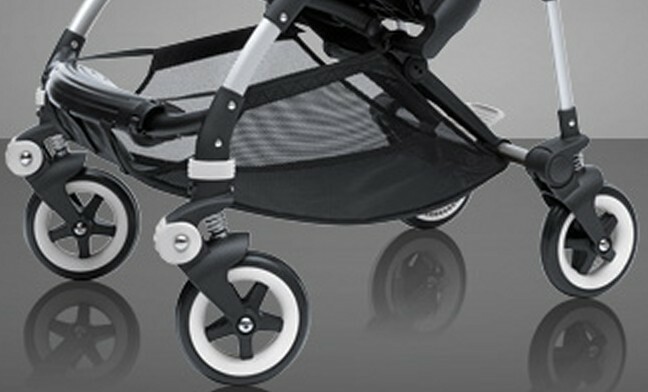 With its extending backrest and seat bottom, this stroller is one that grows with your child. 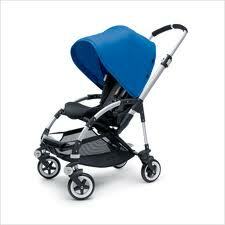 The new Bugaboo Bee3 carrycot will fit the Bee Plus. Compact, slim and nippy. One piece fold. 4-wheel suspension. 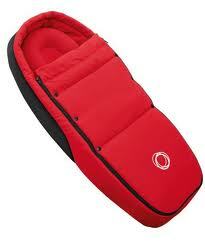 Suitable from birth using the Baby Cocoon. 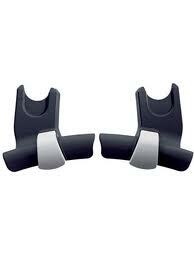 Reversible seat. 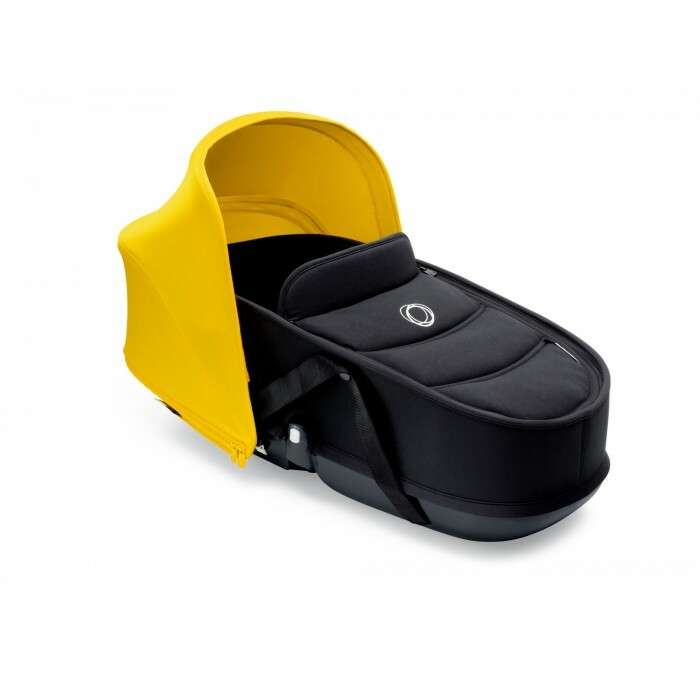 Extending seat back and seat bottom - easily adapts for use for different aged children. 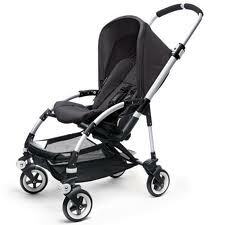 Travel system compatible. Large seat. Light to carry - can be hooked over a shoulder to carry upstairs. Decent sized basket. 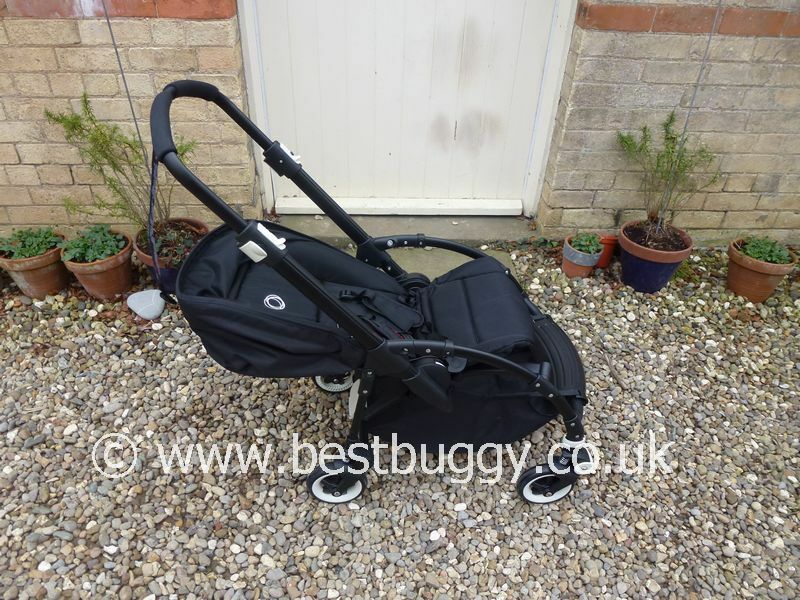 The new hard bottomed carrycot will fit. 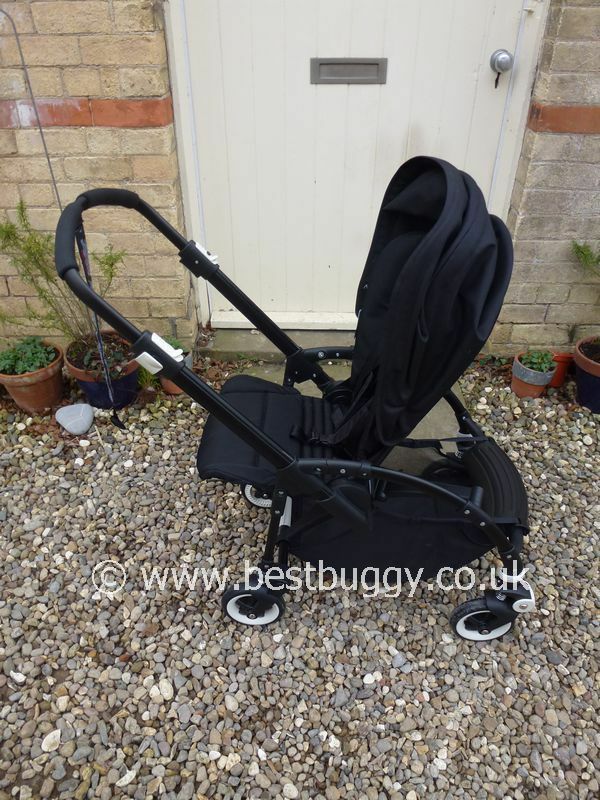 Relatively large when folded for a small pushchair. 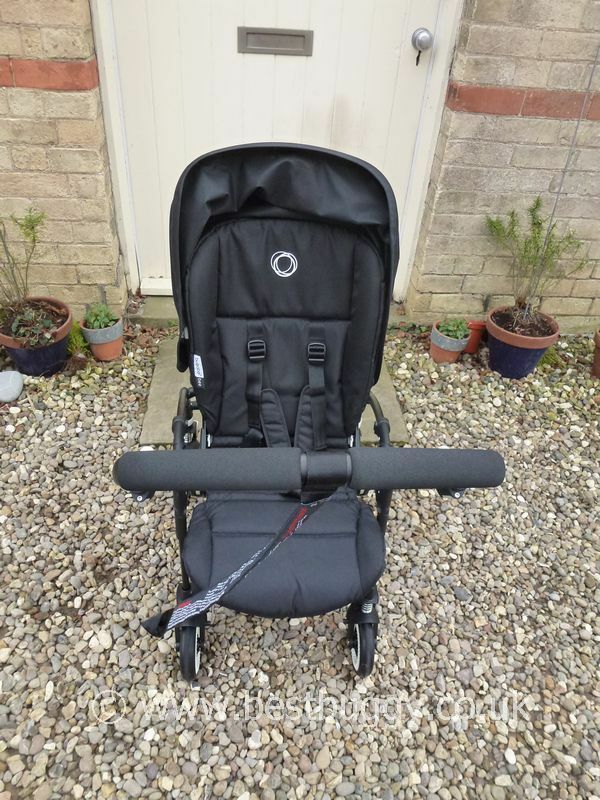 An urban pushchair. Does not freestand. Fiddly to change the seat round. Difficult to unfold when the seat is parent facing. Too light, so that wheels are often off the ground when cornering. Expensive. 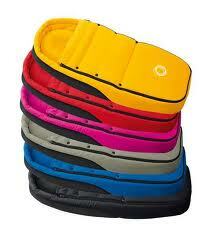 Black seat with a choice of hood colours: yellow, black, sand, red, royal blue and pink. There are also various limited editions produced. 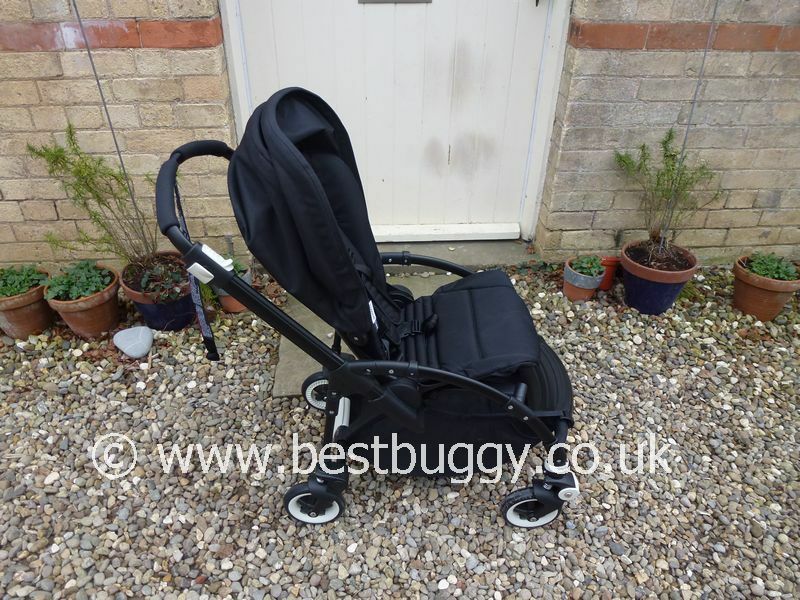 A baby cocoon or carrycot will be needed to support a newborn. 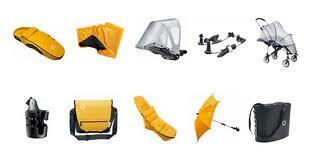 Lots of accessories available such as parasols, a seat liner, sun canopy, cup holder and wheeled board. 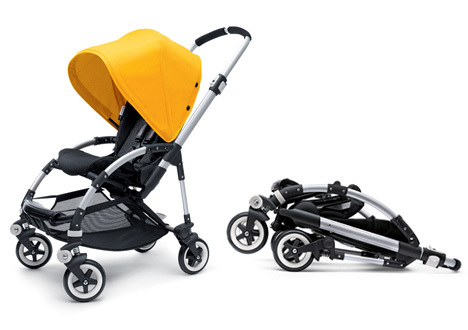 Please note that the Bee Plus below is the All Black Limited Edition with the black chassis. 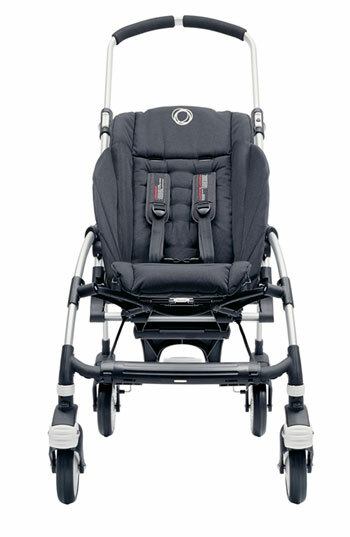 The standard Bee Plus has a silver coloured chassis.